In the previous review, we noted that the currency pair was almost flat with a slight nudge to the upside. The middle bollinger stopped the bullish momentum. The sentiment region of 0.7 and middle bollinger band would function as the immediate support and resistance respectively. On that weekend, China reported a better than expected Manufacturing purchasing managers survey. It was expected to report a contraction at 49.6 but came in instead at 50.5 which indicated industry expansion. We might see a bullish uplift for the AUD/USD as China is a major trading partner of Australia. Looking at the weekly chart above, we note that a forex gap occurred when the market opened. This is not unexpected due to the positive Chinese data over the weekend. This is an important reminder that we should always plan our trades with proper money management. While it may appear as a bearish week for the AUD/USD, it is actually a gain compared to the last week. The upside forex gap brought the opening price up and hence gave the perception of a bearish week. Members can log in to their dashboard to view the major currency pairs analysis whereby this week is logged as a gain for AUD and loss for USD. As expected, the price action was capped at the top side by the middle bollinger band. The week bought little change in terms of actual currency pair value, falling in line with the Price Action Bias Signals of “Neutral” released for members before the week started. In the coming week, the middle bollinger band will likely continue to function as an immediate resistance. The sentiment region of 0.72 will be the extended resistance. 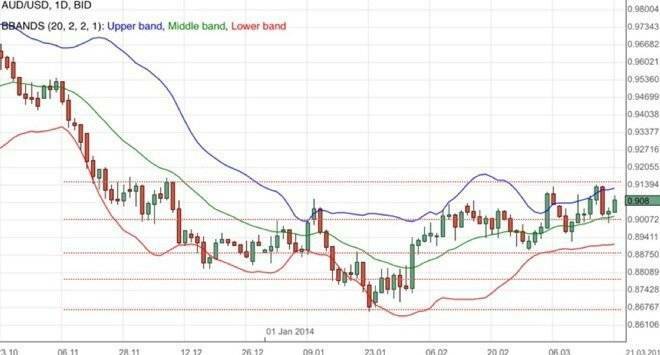 Towards the downside, we have the sentiment region of 0.71 as a likely immediate support and further down, both the lower bollinger band and the strong sentiment region of 0.7 will function as extended support. The approvals for construction of buildings came in much better than expected. It was forecasted to be a negative 1.7% but instead came in at a positive 19.1%. The construction of a building generates many economic activities. Jobs will be created for construction workers, the various sub contractors and services associated with new buildings such as power, water, furniture and so on. With this positive development, it is likely that sentiments favorable to the Australian dollar increased. In the RBA rate statement, the tone is of a hold steady approach policy. The strength of the Australian employment was again highlighted and there were no signs of immediate dovish concerns. It was also mentioned that desired unemployment and inflation rates will be gradually achieved. The market’s reaction was likely muted as there were no significant change in tone. Interest rate related statements are given much attention by analysts and investors as it has a direct impact on the currency. Investors usually favor a currency with a higher interest rate and will analyse these statements thoroughly for insights on the interest rate policy. The Australian retail sales came in better than expected. It was reported to be 0.8% instead of the estimated 0.3%. Retail sales is a fundamental component of the economy. As consumers spend, it translates to revenue and flows up stream as salaries, wholesales purchase, production orders and so on. This development will be welcomed by investors. The US Non-Farm Payroll came in better than expected. 192k jobs were created instead of the expected 172k. This is a surprise as the earlier ADP Non-Farm Employment Change suggested a possibility of weaker numbers. Employment is a fundamental component of the economy as it leads to consumer spending and hence retail sales. A low unemployment rate is an indicator of a healthy functioning economy. This result likely sparked an increase in positive sentiment towards the US dollar. It is clearly visible in our US NFP premium analysis where we have a visual of the major currency pairs reaction to the US NFP. Having said so, we would like to bring to your attention that the average hourly earnings came in worse than expected, reporting a 0.1% increase instead of 0.3%. Salary translates to spending and hence this is an important matrix to be mindful of. There are numerous important economic events next week including scheduled speeches by central bank officials, central bank meeting minutes, consumer pricing and more. It is prudent to follow an economic calendar so that you can reduce the possibility of an unexpected impact to your trading plan. Members can log in to their dashboards for an economic calendar and the latest premium analysis, including the Price Action Bias Signals is now available too. Traders should always practice proper money management. AUD/USD held up by support level. Employment data was a mixed bag. China brought some relief. 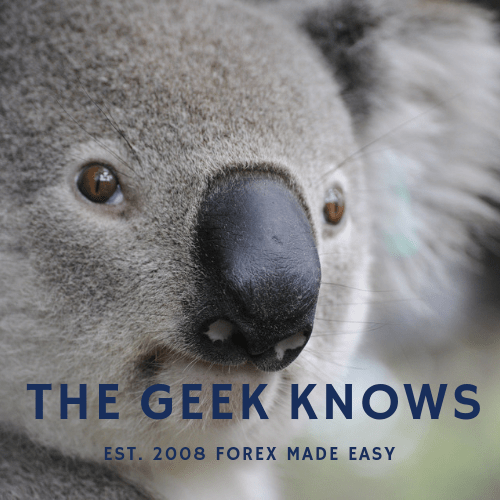 As the holiday season fades, the AUD/USD and EUR/USD gets into action. 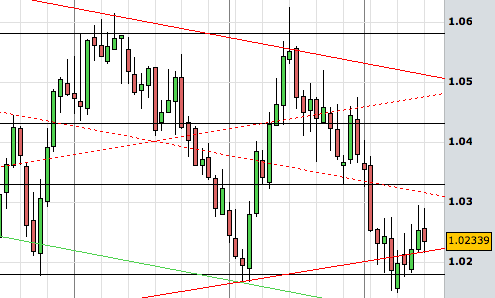 AUD/USD stayed in channel for the week. Bullish and bearish possibilities await. Find out more.